App Screenshots Without Navigation Bar, Please? This is just a minor entry for the blog about something that has been bothered me for quite some times (call me a nitpicker). Ever since the release of Galaxy Nexus with the Navigation Bar (the black bar with Back, Home and Recent apps buttons), there are more and more apps in the Google Play Store actually have it included in the screenshots. I fully understand that it’s not the developers fault – Google Developer Console actually asking for the screenshot with some standard resolution, which means that the Navigation Bar has to be included in the app screenshot without a choice. Not sure if you have the same opinion, but I don’t see the value of including that Navigation Bar in the screenshots. 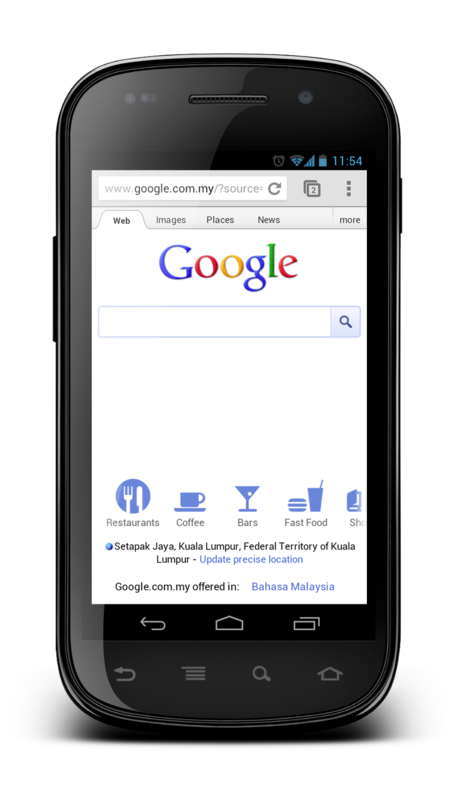 If the screenshot is meant for Galaxy Nexus, the Navigation Bar obviously is redundant since the device already has the Navigation Bar, and the screenshots have to resize due to the larger size. Plus it just feels awkward to view the screenshots that include Navigation Bar on devices that already have them in hardware form (e.g. 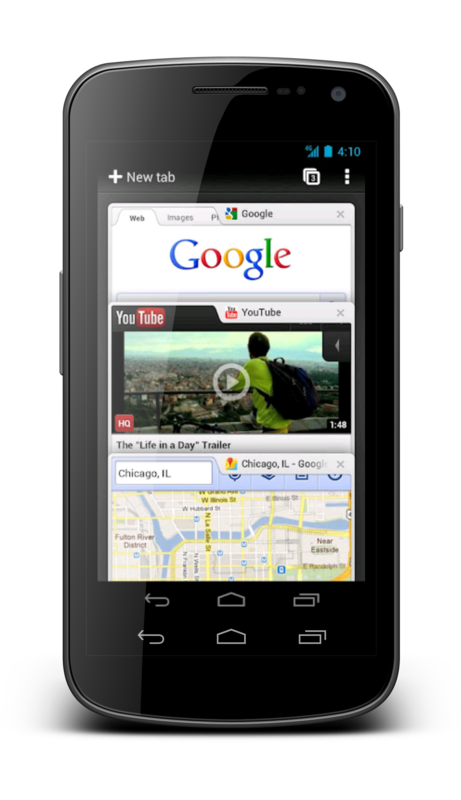 Nexus S). I don’t really have a solution for this since the Google Developer Console requires the screenshots to be uploaded at certain allowed sizes (320 x 480, 480 x 800, 480 x 854, 1280 x 720, 1280 x 800), which I really hope they will consider including resolution without the Navigation Bar/Combined Bar. The only workaround that I would suggest for now is: Upload the screenshots at 480 x 800 (without the navigation bar, of course), which view perfectly on hdpi devices like Nexus S, and still looks quite OK on xhdpi devices like Galaxy Nexus. Absolutely! Two navigation bars on my Galaxy Nexus are completely redundant and because of it there is a small black space on left and right side of the screen. If screenshot was without bar, it would look like real app with real resolution, which would be actually nice. I can’t stand out that all Google apps have the bar included in screenshots and they don’t do anything. Hope they will solve soon. Actually I think it’s a problem of the developers. Since we should test on different devices, why not take screenshots on devices without navigation bar. Surely we test with at least one of those, don’t we? I do agree though, that it looks terrible. And I agree with Matous that it’s no wise decision of Google to only use screenshots with navigation bar. Agreed, the navigation bar isn’t required in the screenshots. The underlying issue is, as you’ve mentioned, the limited resolution support on the play store. One workaround for the higher resolution phone screenshots, may be to use the newer ICS devices such as the Samsung Galaxy SIII or the HTC One X for the screenshots. Both these devices should display the screen in 1280px height without the navigation bar. Or perhaps the emulator can reproduce a similar scenario. One could use an emulator with the resolution manually set to 720×1280 (do not use the built in WXGA720 config). Just create emulator without nav bar! Simple as that. Unfortunately taking the screenshot with 1280×720 full screen devices like HTC One X or Emulator with 1280×720 resolution without the navigation bar doesn’t solve the issue. My point is if those screenshots are meant for Galaxy Nexus, Play Sore should allow developers to upload the screenshot of 1184×720, so at least Galaxy Nexus will be able to view the screenshot perfectly, while doesn’t cause the odd when the softkey appear on those devices that already have hardware keys. It’s their flagship devices so I expect more from them. Of course those screenshots specific to Galaxy Nexus might looks a little bit imperfect on other devices, but most probably what they will see is a screenshot with some black space, not soft keys that doesn’t belong to them.